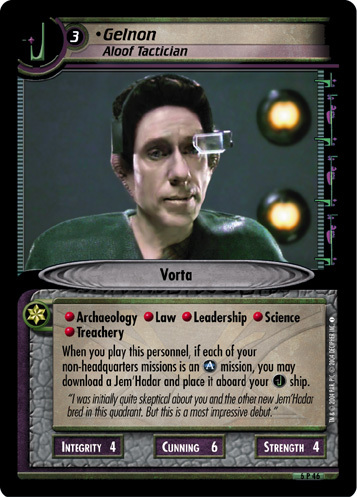 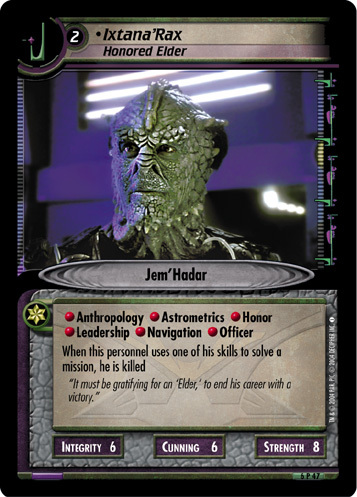 When you play this personnel, if each of your non-headquarters missions is an mission, you may download a Jem'Hadar and place it aboard your ship. 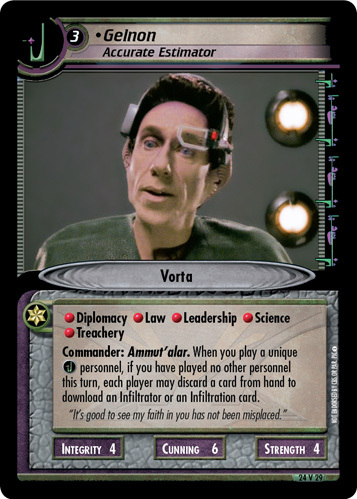 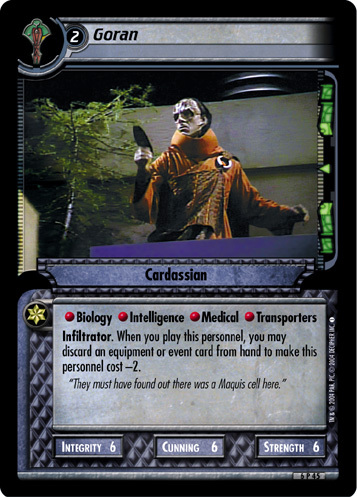 "I was initially quite skeptical about you and the other new Jem'Hadar bred in this quadrant. 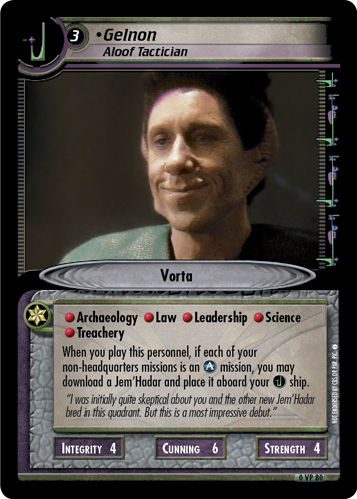 But this is a most impressive debut."